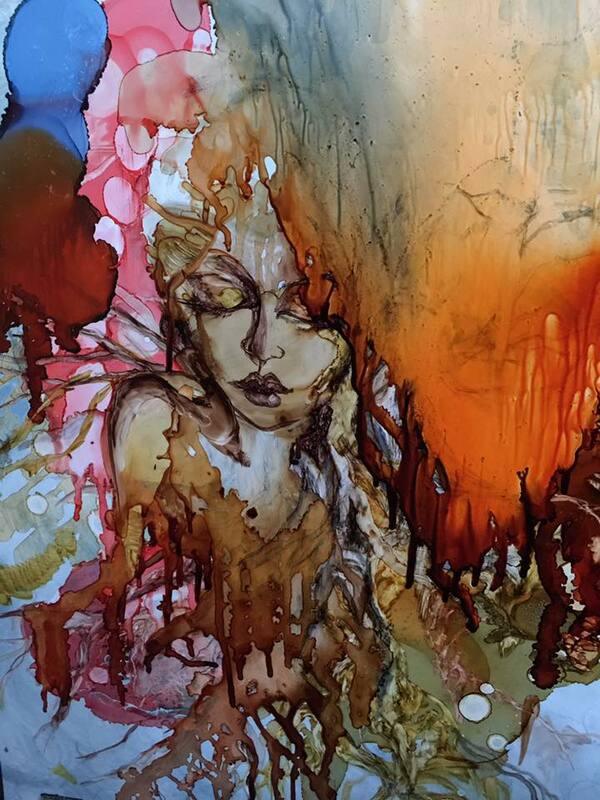 Congratulations to Artist Michol McQueen-Childress! Congratulations to my new student Michol Childress for being a recipient of the Greater Columbus Arts Council ‘s Aminah Brenda Lynn Robinson Professional Development & Research grant and Supply Grant! 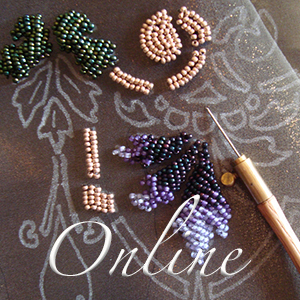 I’m happy to announce we have opened early registration for the new tambour beading online series. Tambour work was used in 18th century garments and décor items, and it was also a very fashionable pastime associated with the ladies of the French court. This style of beading can be seen in flapper dresses and is now used extensively in the couture industry. My plan is to offer all the associated techniques and applications of tambour work that I am knowledgeable in, in a 2 course format. 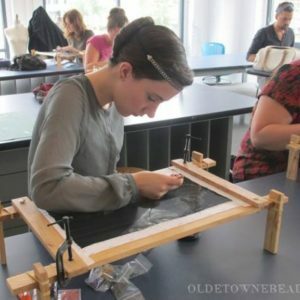 This initial course will be 3 videos covering the history, tools and materials, the basic technique, and how to use it to apply beads to fabric. The second course will be comprised of additional videos addressing silk embroidery and other various ribbon and fabric techniques. 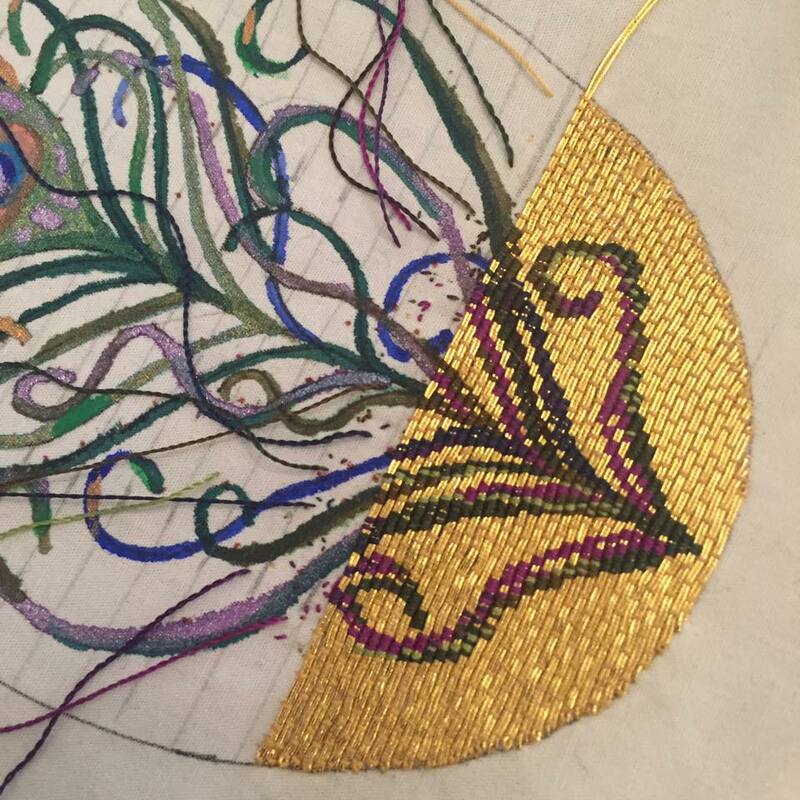 I’ve been teaching tambour and other beading and embroidery arts for over 18 years and I am just now branching out to offer my knowledge via the internet. I am offering an early registration incentive on the price of the first tambour course while I am still finishing up the videos and before they go live. If you register now, you will be notified as each video is released and you will lock in the best price for the course. 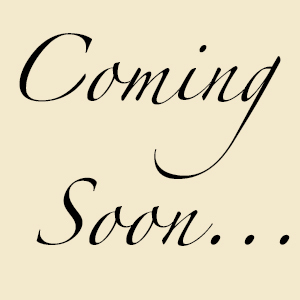 Announcing our NEW ONLINE COURSES! I’m pretty excited to offer my first ONLINE embroidery class for Early Registry Pricing! After years of requests for me to offer my classes to students worldwide, I finally made the big leap and uploaded the first installment for my first online class on the subject of Or Nué – Medieval Goldwork Embroidery. You can save $50 off regular tuition by registering now before all chapters are uploaded. Chapter One is already available for viewing and the next chapter will be uploaded shortly! I designed things so you have the option to also purchase the supply kit from me or use your own materials. I hope you can join me for this exciting journey in creativity! Watch this video below to learn more!